When I go for fabric shopping, sometimes I tend to pick up some fabrics, which makes me wonder what was I thinking when I bought them.This is one such fabric. 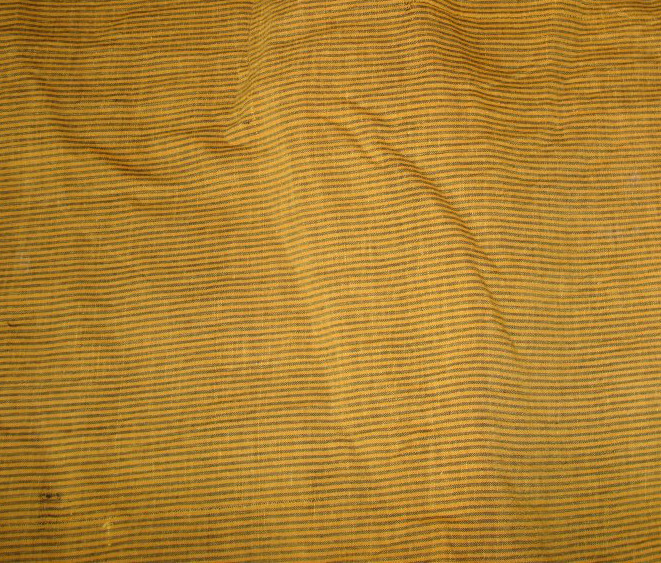 A dull brown block printed in mustard yellow. 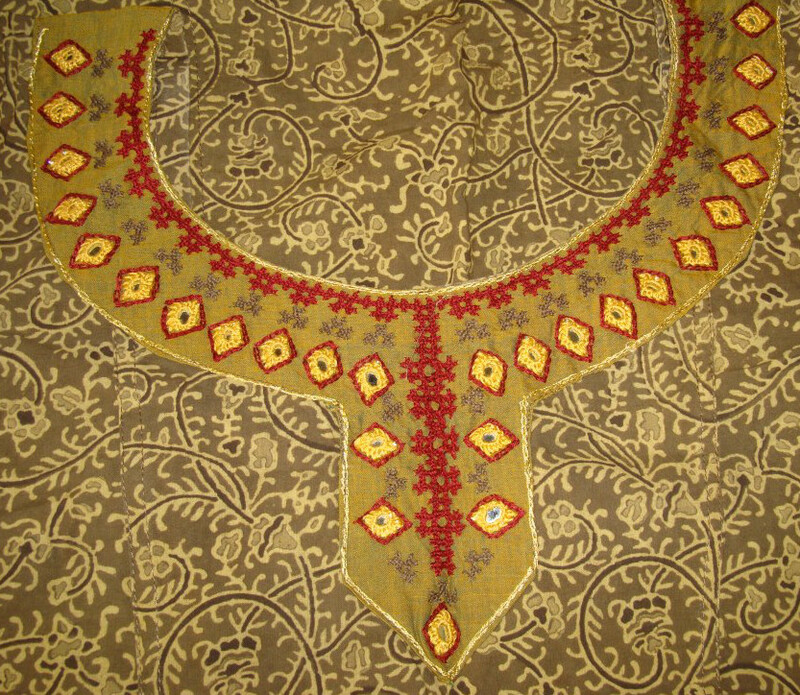 Later an idea came to match it with a maroon fabric block printed with paisleys. Now I wanted to design a neck pattern with mirrors. These mirrors when worked with maroon thread would go well with my idea. 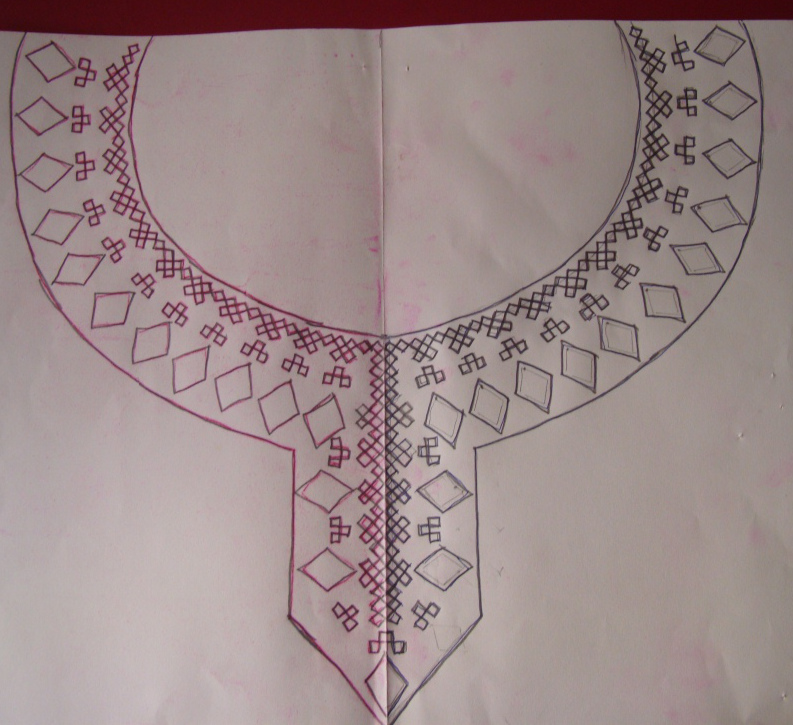 Instead of drawing a new pattern, an old pattern with kutchwork and mirrors which was drawn earlier was chosen . Some things have to be said – a simple pattern would have been better. The pattern with curves and circular mirrors would also have been better. 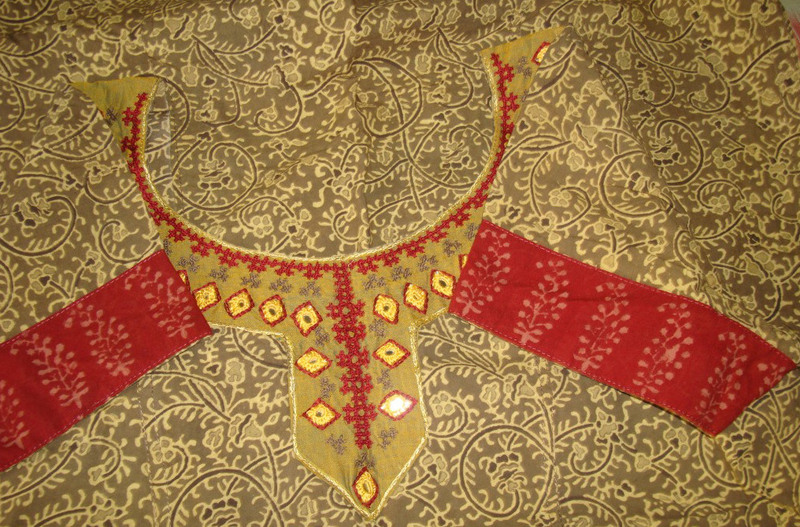 The fabric on which the embroidery was worked was dull as the tunic. The colours chosen did not add any brightness to the tunic. I could go on and on. This maroon fabric looks better than the embroidery. The surprise was finding a salwar with the similar colour scheme. The tunic when worn looks fine. 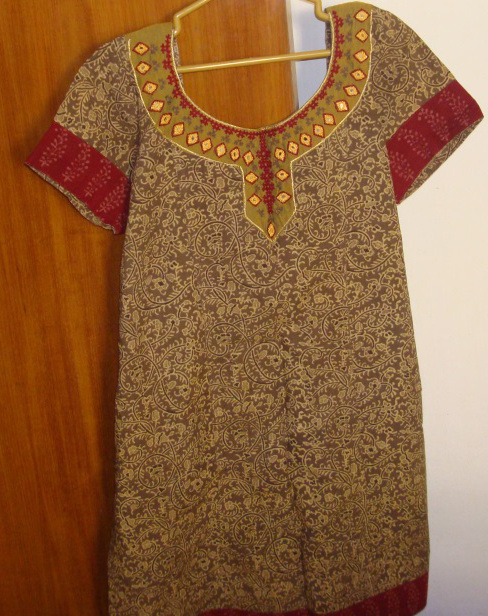 The maroon fabric definitely brightens the tunic.